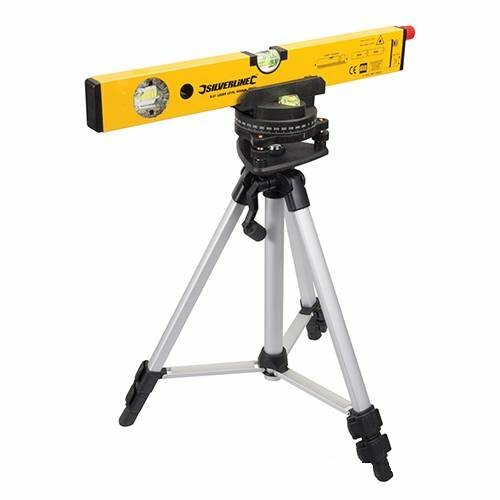 Laser Level Kit with tripod that can project up to 30 meters for level lines. Projects laser dot visible to 30m. 2-vial extruded aluminium laser level with 30m range and accurate rotating base with clear 360° markings. Includes a line-generating 90° prism and tough plastic carry case. Accurate to 0.5mm/m. Requires 2 x AAA batteries (not supplied).